Minnesota is pretty well known for its heavy snowfalls. Without a doubt, for much of the year we wear thick winter jackets with fur-lined boots to match and brave temperatures that can blacken fingers and toes in just a quarter of an hour. I bet if you ask anyone outside of Minnesota to describe our state in one word they will say COLD. Minnesota is cold and snowy; no way to deny that! But Minnesota has a completely different life in the summer. Trucks and SUV’s that pulled snowmobiles just 2 months ago get loaded down with boats and tubes headed toward the water. State Park camp grounds are booked up months before their planned use and by mid-morning local hiking trails are crowded with city-dwelling adventurers bussed in by REI. Neighborhood churches hold their Sunday morning services outside. Small towns offer free weekday band concerts in their gazebos. Picnics with friends are an almost daily occurrence with meet-ups at the beach and soft-serve ice cream at the local gas station/deli always paired together. I’m an outside-loving girl and I love the outside life of Minnesota although not native to this area. I grew up on the central coast of California with beaches and vineyards and mountains and rattle snakes. Life outside was just how life was done. That hasn’t changed for me with this the 2,000-mile relocation. I always seek out nature and am most able to feel the voice of God there, be that the Pacific Ocean, rocky mountain trails, Minnesota lakes, or wooded trails. The frigid Minnesota winter doesn’t keep me locked inside every day…although life inside is temptingly cozy when the temperature gauge reads -30 degrees. I embrace winter sports like snow shoeing and downhill skiing, but by the end of January I have a bit of cabin fever and start to feel desperate to hit my favorite hiking trails unencumbered by layers of snow gear. This winter was a particularly snowy winter. By mid-March we still had loads of snow on the ground. In mid-April the snow was largely melted except for some large stubborn patches and piles of crusty white snow. But I had had it. I needed the woods. I needed the sunshine. I needed to move my body and connect with the trails. After such a long winter I felt desperate to connect with Him there. So, I laced up my running shoes, left my snow boots on the porch, and headed to my favorite trail. The trail felt like magic. In the sunshine I felt warm and shed my light jacket. I stopped in a clearing to do a few sun salutations, a cushion of brown but still fragrant pine needles under my feet. I watched the river move at a sluggish pace, a layer of slush still fighting to coat the surface. The birds were vocal, green buds were making their appearance on tree branches overhead. Patches of snow gave way to hidden puddles under my steps and soaked my feet in my running shoes. I thought about my snow boots on the porch and decided that wet feet were a fine price to pay for time in the woods. After a mile I came to a bend in the trail that leads to my favorite stretch. In the summer months the trail hosts a vocal babbling brook, ferns, hastas, and mossy tree trunks. Today the trail was completely covered in snow. The thick birch forest created a dense canopy that kept the sun from fully melting the snow. The snow that covered the trail had thawed and frozen quite a few times, which made it more like ice rock—slippery, tedious, injurious. I felt disheartened for just a moment, but when I looked a little closer the trail I saw hundreds of footprints in the snow. Many hikers—people like me—had felt the pull of the woods. Their steps w creating cradles for my steps. It might make my trek slower, but I could pick footprints to step into to keep from falling. The step combinations were limitless and would keep me from injury. God knows me so well. I struggle with loneliness, with feeling like I don’t fit in wherever I am. I’ve always felt like I am an outsider. This has led to struggles with anxiety, the occasional bout of dark depression, and sometimes some unhealthy impulsive decisions made with the driving motivation of fitting. In the woods that day God showed me that I’m not alone. I’m not a lone weirdo, destined to walk trails solo. There is a whole slew of people just like me, just ahead of me, supporting me with their experience and cheering me on with their persistent pursuit of being who God made them to be. We are people of the woods, who feel God speak most clearly surrounded by mossy tree trunks and rivers and creeks that affirm our need for swift movement. And I am one of that “we”. God made us to need each other, to work together, to teach and learn from each other. Hebrews 12:1 says, “Therefore, since we are surrounded by such a huge crowd of witnesses to the life of faith, let us strip off every weight that slows us down, especially the sin that so easily trips us up. And let us run with endurance the race God has set before us.” Part of our role as Christians is to cheer each other on, to share our experiences (good and bad), to leave a trail for others to follow. I needed those snow footprints and I need footprints on this Christian journey. The crowd of witnesses, even in my favorite stretches of life, cheers me on, points out the pitfalls that might cause me injury, and help me us when I do fall. I need to see what has worked for others so that I can function at my best, connecting with God and others without the risk of slipping, falling, being injured. God made me an outside girl but I’m not an outsider. He made me part of the body of Christ. I fit. I belong. When I feel the call to get to the woods, it is God calling to me to be with him and to be with people He made like me. I’m so grateful to meet Him every time on the Minnesota trails. Melody Ward is a mom to 6, a sometimes potter, an advocate for the refugee population in Minnesota, and a full-time chicken lover. She and her family live on a small farm about 35 miles north of Minneapolis, MN, and they make full use of the outdoor wonderland of semi-rural Minnesota and occasionally venture into the city for Melody’s favorite food—Ethiopian!!! Melody has been a writer for over 10 years but only recently ventured into the blog-o-sphere. 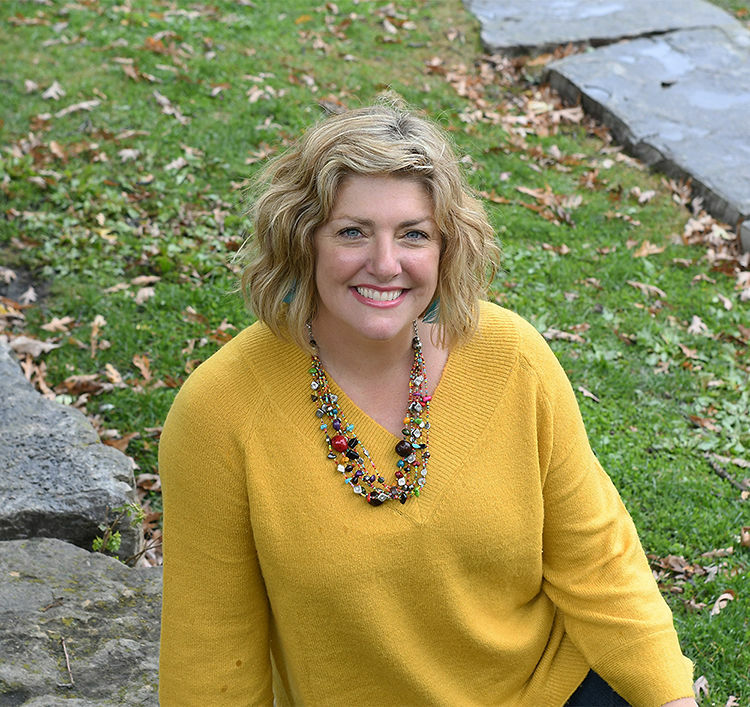 At www.bigbeautifuladventure.com she writes about being curious, brave, and connected in our families, community, and the greater world around us. She loves hiking and kayaking but doesn’t get to do either enough. Her kids will tell you she reads too much, makes delicious turkey meatloaf, and despite her best efforts fall flatly in the realm of “basic.” You can also find her @bigbeautifuladventure on Instagram.